Do you remember when the evening news would report things that recently happened without citing statistics from the most recent poll regarding said events? 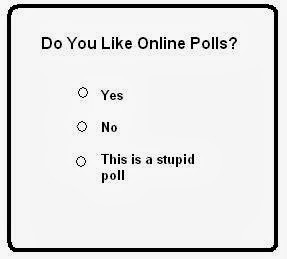 I can't watch "news networks" anymore without the anchors referring to one poll or another several times in each five minute segment. I feel a little like I am being told what to think, or whether my opinion is valid. Should I feel bad that only 25% of Americans agree with me? Should I have a sense of pride that my opinion is shard by 82% of surveyed homes? This has been a long time coming. Decades ago we began this journey which has slowly eroded the idea of truth and morals in favor of opinion and majority. The actions of government officials are no longer judged by whether or not they are good for the country, but by how they impact the official's popularity rating. Legislation is no longer driven by the nation's best interest, but by impact it will have on re-election. If 90% of Americans believe the moon is made of cheese, it is still not made of cheese. If only 10% of Americans believe Canada is our neighbor to the north, Canada is still our neighbor to the north. If 75% of Americans believe that people should really only have one arm, will you cut one of yours off? This is really just a lament. I'm not sure we can go back. I'm not sure we should. But maybe next time you see numbers on a poll you can remind yourself, "Those numbers are not necessarily a reflection of what is true, what is best or what is right."